Per Pennsylvania Statutes, once a Corporation or Fictitious Name has been registered you must publish a notice of intention in two newspapers (one legal and one general newspaper) in the county where your principal office or place of business is located. This must be completed when registering the Corporation or Fictitious Name with the Pennsylvania Department of State. If this legal notice is NOT published then you are NOT in compliance with the State of Pennsylvania Statute. 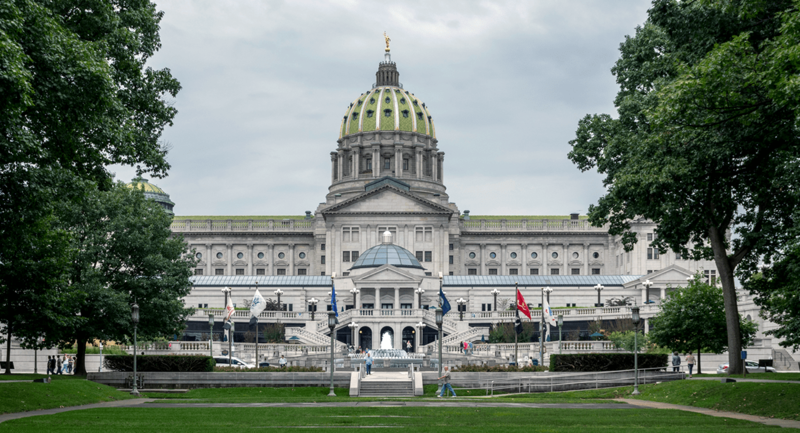 Pennsylvania law prohibits entities that are doing business under a fictitious name but have failed to register that name from bringing a lawsuit in the Commonwealth until the name is registered and a $500 civil penalty is paid to the Department of State. 54 Pa.C.S. § 331. Additionally, the effect of failure to advertise when required by law will be that “no legal proceeding, matter, or case in which notice is required to be given by official or legal advertising, shall be binding and effective upon any interested person unless such official and legal advertising is printed and published” in the manner required by law. 45 Pa.C.S. § 307. From start to finish we make a complex issue simple. We have a long and well-established relationship with local county newspapers throughout the State of Pennsylvania. Due to our large volume of fictitious name publishing, these newspapers give us additional discounts not available to the individual. We can then pass along these savings to you. With the vast number of newspapers in circulation our staff knows which newspapers comply with the Pennsylvania statue and will select the appropriate newspaper based on the county of your business. • We generate a legal notice that meets all the requirements for publishing a fictitious name in the State of Pennsylvania. • We submit the legal notice to a legal and general newspaper in the Pennsylvania county were your principal office is located. • We obtain an affidavit from each newspaper that your legal notice has been published. • The affidavit of publication is mailed to you for your business records and proof of legal compliance with the State of Pennsylvania Statue. Completion is approximately 5-6 weeks. During this time, we will generate your legal notice, arrange and publish your legal notice in a newspaper in the county of your principal office, obtain the affidavit from the newspaper, and mail you the affidavit of publication for your business records. Price is determined by the cost of the newspaper advertisements plus our service fee for preparing the legal notice, submitting it to the newspaper and providing you with the affidavit of publication. The price we provide in the order form is all inclusive and there are no additional or hidden fees. Our company drafts and publishes Pennsylvania corporation and fictitious name legal notices that are in compliance with the state of Pennsylvania. ©2019 Business Name Publishing - Business Name Publishing is not a government agency and does not have a contract with any government agency to provide these services.